Scooper - Technology News: Inequality and the TPP: Who will benefit from the trade agreement? 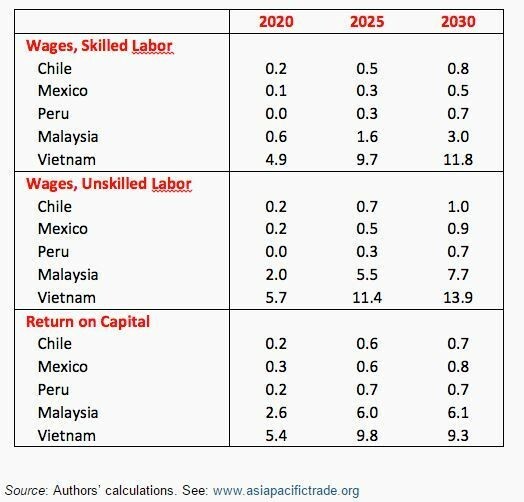 Inequality and the TPP: Who will benefit from the trade agreement? -Disproportionately benefit poor countries and labour within them. See Petri et al. (2012) and most recently Petri and Plummer (2016). The model was developed by Zhai (2008) and is based in part on GTAP data. Additional information is available on www.asiapacifictrade.org .